The votes still aren't fully counted in Egypt, but the Obama administration has seen enough to reverse long-standing and well-rooted policies to shun the theocratic, global Caliphate-minded Muslim Brotherhood, whose philosophy spawned terrorist movements from Hamas to al-Qaida. High level meetings between American and Brotherhood officials reflect a "new political reality here [in Egypt], and indeed around the region," the New York Times reported in a front-page article Wednesday, "as Islamist groups come to power." What is astounding and dangerous about the new U.S. recognition is the fact that Brotherhood leaders became more openly radical and militant once Mubarak was thrown out, issuing incendiary speeches calling for "martyrdom" operations against Israel and aligning with Hamas and other terrorist groups. Yet as the New York Times wrote, the Obama administration accepts as truthful "the Brotherhood's repeated assurances that its lawmakers want to build a modern democracy that will respect individual freedoms, free markets and international commitments, including Egypt's treaty with Israel." But there's another reality that seems overlooked. And that's the Brotherhood's history of deception and duplicity, policies that reflect its modus operandi in gaining legitimacy in Egypt and around the world but still promoting a militant agenda. While some MB officials may tell American officials they will respect individual liberties and honor Egypt's peace treaty with Israel, it's not hard to find massive evidence that paints a different and more disturbing picture. As we reported last week, the Brotherhood is poised to dominate the next Egyptian government after vowing last spring that it sought no such power. The group's deputy chief says the Brotherhood "will not recognize Israel under any circumstances" and may place the peace treaty before voters in a referendum. Earlier this year, it tried to hide its bylaws and their calls for "need to work on establishing the Islamic State" from English-reading audiences, striking them from its website. Last week, however, Supreme Guide Mohammed Badie gave an address reminding followers of the agenda laid out by Brotherhood founder Hassan al-Banna. "It begins with the reform of the individual and then to start building the family and society, then the government; then the rightly guided caliphate, then instructing the world; instructing guidance, wisdom, truth and justice." Brotherhood members must see their electoral success as a huge step in the direction of creating "the rightly guided caliphate." The United States would be foolish to differ. It also would be foolish to overlook the Brotherhood's record. After American commandos killed Osama bin Laden, the Brotherhood told English language audiences "one of the reasons for which violence has been practised in the world has been removed," Reuters reported. In Arabic, however, they referred to the mass-murdering al-Qaida founder with the honorary term of Sheikh and called him a shaheed, or martyr. The statement also criticized the American attack as an assassination. Despite their reputations among some in the West as supposed moderates, Brotherhood officials routinely endorse terrorism. Hamas, the Palestinian terrorist group in control of Gaza, declares itself to be the Brotherhood's Palestinian branch. Its peaceful intent includes recent reiterations of its commitment to violent jihad and its vow never to accept the state of Israel's right to exist. "Our presence with the Brotherhood threatens the Israeli entity," Hamas Prime Minister Ismail Haniyeh said last month. For all the talk of the Brotherhood renouncing violence, the Associated Press noted that "it supports Hamas in its 'resistance' against Israel." But the Brotherhood's threat of violence is not limited to actions against Israel. Influential Brotherhood theologian Yusuf al-Qaradawi endorsed kidnapping and killing American civilians in Iraq in 2004 as an "obligation so as to cause them to leave Iraq immediately." More recently, Qaradawi has called on Muslims to acquire nuclear weapons "to terrorize their enemies" and sanctioned killing Israeli women because they serve in the army. He has prayed to be martyred while killing a Jew. Incredibly, there has been no American confirmation or denial of an Indian newspaper report last week which indicated Qaradawi is helping broker peace talks between the United States and the Taliban, which itself is scandalous. "God is our goal, the Quran is our Constitution, the Prophet is our leader, jihad is our way, and death in the service of God is the loftiest of our wishes." There are good reasons why the United States does not deal with Iran or recognize Hamas government in Gaza: Granting unilateral recognition to totalitarian political movements or governments only emboldens their terrorist ideologies. Shunning, boycotting and ostracizing totalitarian movements and regimes that still promote violent ideologies and policies is the only proven way of undermining their legitimacy and containing them, short of military action. The Brotherhood, which supports the terrorist Hamas, can mouth to the West all the platitudes about peace it can muster. But the record of its actions and its statements in Arabic shows the emptiness of such words. Here is Badie, the supreme guide, in October, following Israel's decision to release more than 1,000 prisoners, many of them Hamas killers, in exchange for kidnapped soldier Gilad Schalit: "The deal also proved that Israel only understands the language of force and resistance. This language is able, with God's permission, to liberate the Palestinian people suffering under the captivity of the Zionists." Deception is part of the Brotherhood's modus operandi in America as well. 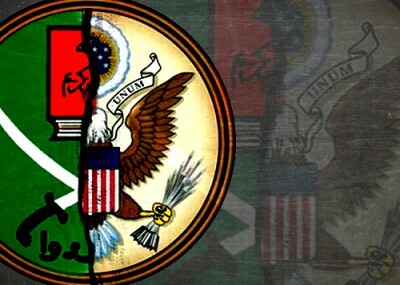 Evidence in the largest terror-financing trial in U.S. history shows the Muslim Brotherhood created a network of Hamas-support organizations here, operating as the "Palestine Committee." One exhibit, a 1991 "Explanatory Memorandum on the General Strategic Goal for the Group in North America," described the Brotherhood's work in the United States as a "kind of grand jihad in eliminating and destroying the Western civilization from within and sabotaging its miserable house by their hands and the hands of the believers so that it is eliminated and God's religion is made victorious over all religions." Court records provided "ample evidence" placing the Council on American-Islamic Relations (CAIR) and its founders in the Palestine Committee, but CAIR refuses to acknowledge those connections. The evidence prompted the FBI to cut off communication with CAIR, but plenty of U.S. politicians and policymakers continue to engage the group. Even if U.S. government officials accept the premise that the Brotherhood is a new reality in international relations, it is profoundly troubling that the U.S. would unilaterally grant new-found legitimacy without extracting demonstrable concessions that the Brotherhood has truly changed its policies. We still carry great leverage, supporting Egypt with $1.3 billion in military aid each year and through economic support from the U.S. Agency for International Development. Beyond the leverage of financial support, there are many options for the U.S. to pursue, as it did through an international boycott organized against South Africa when it existed as an apartheid state. In legitimizing the Muslim Brotherhood more than any other previous administration, the U.S. undermines genuine secular and pluralist parties, admittedly in the minority in Egypt, but which hold out the only hope for alternatives to the empowerment of authoritarian policies of Islamist regimes. In the entire history of Islamist regimes taking over or winning by elections, there has never been an Islamist regime that has ever given up power peacefully. Unfortunately, the Obama administration's embrace of the Muslim Brotherhood in Egypt parallels its embrace of Muslim Brotherhood American branches and front groups whose officials say nice things on American television, yet continue to covertly spread the ideology of, and in many cases funded, Islamic militancy and terrorism. Throughout its history, Brotherhood groups and leaders around the world starting with al-Banna, its founder, in Egypt, have spread the incendiary conspiratorial doctrine that the West, Christians, Jews and infidels have secretly conspired to suppress Islam since 1095, the year of the first Crusade. And in the age of instant worldwide communications, this delusional paranoia that non-Muslims – especially the West, Jews and Christians are waging a war against Islam – has become the No. 1 factor in motivating Islamic terrorists to carry out their attacks. In Egypt as in the United States and Europe, Brotherhood leaders blamed Israel, Jews and the United States for the 9/11 attacks. Nearly every Islamic terrorist arrest in the United States has been described by Islamist leaders as evidence of a "war against Islam." The Muslim Brotherhood, where ever it is around the world, from Cairo to Chicago, seeks to gain legitimacy through a campaign of deception and penetration of western regimes and institutions. It defies common sense to grant unilateral legitimacy to the Brotherhood without demanding concrete actions to openly disavow its support for Islamic terrorist groups or stopping the spread of its mass incendiary message that there is a war against Islam. Wittingly or unwittingly, the United States has now become a de facto enabler of a militant ideology that ultimately seeks the destruction of our own way of life. The Obama administration knows the truth but because of Obama's life-long associations with Islamic and radical socialist causes, he has turned a state department that always has been predisposed to ally itself with Islamic money and politics into the American branch of the Muslim Brotherhood, helping them (in Egypt, Tunisia, Libya, etc) to achieve their Caliphate - sacrificing Israel and American freedom along the way.